of the retiree and/or spouse. Social Security: Designed to replace only a part of an individual’s working income, Social Security provides a known benefit for the life of a retiree and his or her spouse. Defined contribution (DC) plans: Such as 401 (k), 403(b), 4571 plans, which allow for contributions from the employee (in some cases from the employer as well) to a retirement account. The funds in the account, whatever they amount to at retirement, provide retirement income. Individual retirement plans: Such as Traditional IRAs or Roth IRAs. These are “individual” versions of employer-sponsored DC plans. The funds in the IRA at retirement, whatever the amount, are used to provide retirement income. Social Security: Social Security is a “pay-as-you-go” system, with current workers supporting those already receiving benefits. As the baby boom generation begins to retire, the number of individuals remaining in the workforce to support them grows smaller. Although politically unpleasant, fiscal reality may force higher payroll taxes, reductions in benefits, or both. With the stable, lifetime income stream from employer pensions and Social Security playing an ever shrinking role, retirement income planning demands that each individual accept a higher degree of personal responsibility for both accumulating and managing the assets needed to pay for retirement. And managing these assets has to be done in a world where constant inflation, fluctuating interest rates, and sometimes volatile financial markets are a fact of life. Extended life spans mean that the money has to last longer, although exactly how long is unknown. Premium paid: Generally the larger the payment, the larger the income stream. Age: Older individuals typically receive larger periodic payments. Payout period selected: A shorter payout period usually results in a larger payment. Underlying investment medium: Generally, either a fixed or a variable annuity. A fixed annuity pays a fixed rate of return. The insurance company invests in a portfolio of debt securities such as mortgages or bonds and pays out a fixed rate of return. Generally, this rate of return is guaranteed for a certain period of time after which a new rate is calculated. 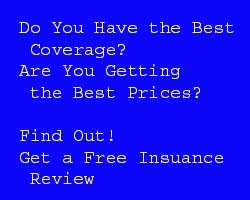 Most insurance companies offer a guaranteed minimum rate throughout the life of the contract. Such guarantees are based upon the claims-paying ability of the issuing insurance company. Annuities are not insured by the FDIC or any government agency. Since an annuity may be payable far into the future, dealing with a financially solid insurer is essential. Credit rating companies such as A.M. Best, Standard and Poor’s, or Moody’s can provide an objective measure of a firm’s financial stability. For many individuals, an immediate annuity can form an important part of their retirement income planning. Because an immediate annuity is a complex product, the advice and guidance of a trained financial professional is highly recommended. 1 These refer to the sections of the Internal Revenue Code which authorize these different types of retirement plans. 2 See, “Employee Participation in Defined Benefit and Defined Contribution Plans, 1985-2000.” U.S. Bureau of Labor Statistics, updated June 16, 2004. .
3 National Compensation Survey: Employee Benefits in theUnited States, March 2009, Table 2. 4 Source:NationalCenter for Health Statistics: Deaths: Final data for 2007, May 20, 2010. 5 The prospectus for a variable annuity contains complete information including investment objectives, risk factors, fees, surrender charges, and any other applicable costs.